She’s riding the crest, she’s the darling of Musical Theatre, she’s the flavour of the day….no, maybe we’d better not say that as that would make the whole thing seem fickle and unpredictable as if talent and hard work didn’t really account for anything. She IS the darling and she IS riding the crest, but it’s not like she’s the young upstart or anything, coming from nowhere and taking over, she’s paid her dues and deserves every success that comes her way. Bethany was raised in a very musical and theatrical family. At the age of 3 she was already harmonising with her mum in the car, and at 4, with very little persuasion she donned her tights and danced her way through childhood. Still dancing, some of her theatre credits include being in the ensemble and Louise cover in Carousel(Cape Town), playing Louisa in The Sound Of Music (Cape Town), Ensemble and cover for Sharpay Evans in High School Musical Live on Stage (South Africa and Shanghai) Sandy in Grease (South Africa, New Zealand, Hong Kong) Betty Shaefer In the brilliant Sunset Boulevard for which she was nominated for both a Naledi and a Fleur du Cap theatre award. 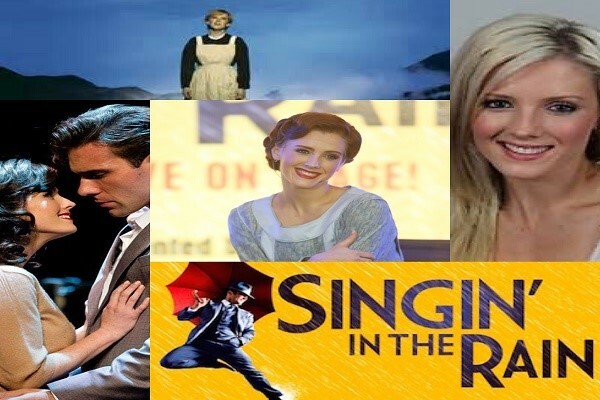 Bethany can now be seen in Pieter Toerien’s SINGIN’ IN THE RAIN which, after an extensive world tour, has come home to The TEATRO at Montecasino for a season that runs until 13th March. She plays Kathy Seldon, the role made famous by Debbie Reynolds in what can only be described as the feel-good show of the year! “It’s a dream-come-true to step into the shoes of such well-loved characters (such as Kathy Seldon) played by legendary actors like Debbie Reynolds,” added Dickson, who also had the chance to take on another iconic leading lady of the stage, Maria in “The Sound of Music” in the recent South African and New Zealand productions. “The Two roles are completely different, but it was a lovely challenge for me; Maria was Julie Andrews—You want to go there but you don’t!” Dickson gushed, sharing her experiences on going from Maria Von Trapp to Kathy Seldon. That’s Olivia Newton-John, Julie Andrews and Debbie Reynolds under a belt, with some big shoes to fill, and with absolute exquisite beauty, charm and grace….the shoes are full! LAST WEEK OF “impressive” ‘I’m Playing Your Song’ 200 performances and still Fantastic!